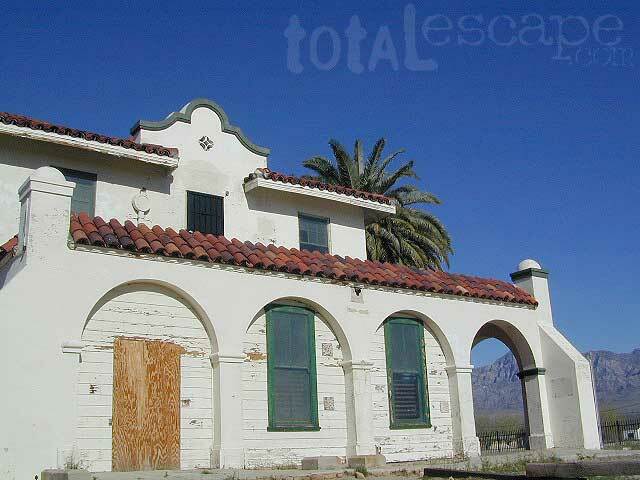 Kelso Train Depot - If this huge building seems odd sitting all alone in the Mojave Desert, you must take a glance at the history of the state of California. 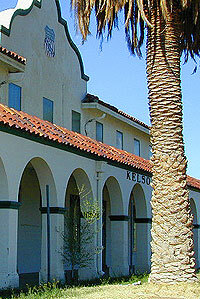 Kelso Depot did service the small town of Kelso, which at one time had as many as several hundred people. 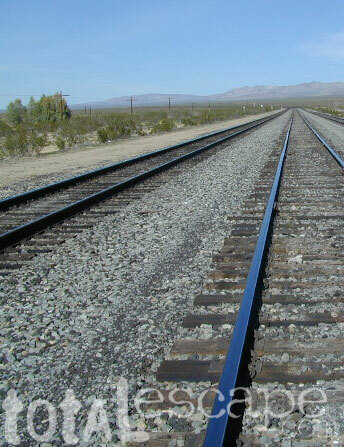 But the size of this railroad station perplexes most. 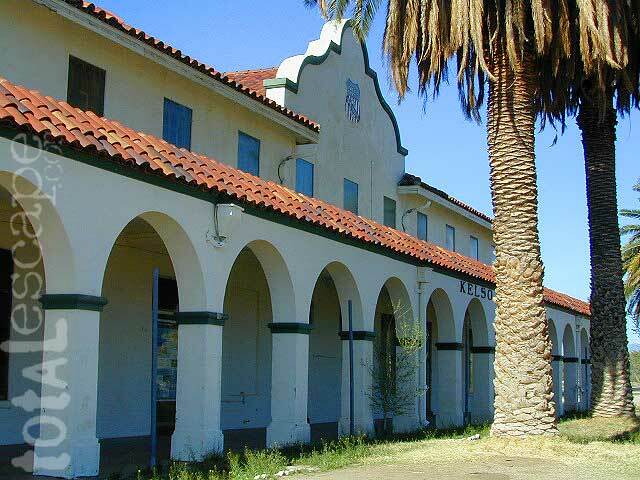 the Kelso Depot was far more than a functioning depot, for here the Los Angeles and Salt Lake Railroad (Union Pacific) combined in a building a train depot, boarding house, and a restaurant which served for employees & passengers. 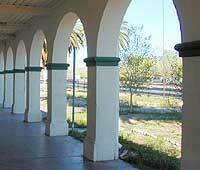 The distance between Las Vegas and the connection with the Santa Fe line at Daggett was too far for trains without a meal car, so Kelso also made perfect sense as a restaurant stop. 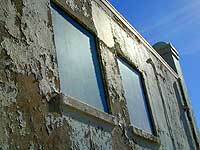 This particular building was built in 1923 to replace an earlier depot. 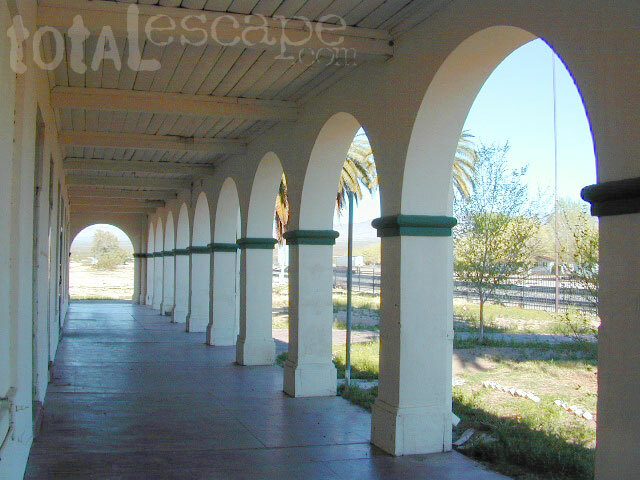 Along it's rail road line, the Los Angeles and Salt Lake Railroad designed its architecture in the California mission style to create an identity for itself. 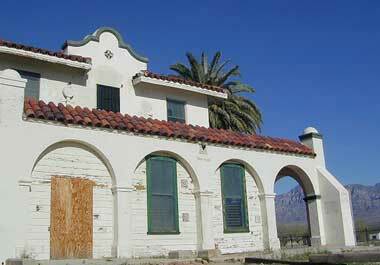 The Kelso Depot survives as a historical marker. this prime overnight spot will serve as an excellent overnight stop. 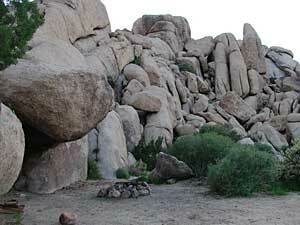 Located right off Interstate 40, east end of Mojave National Preserve, several great secluded free camp spots surrounded by boulders, cacti & junipers. From I-40 drive 7-8 miles north on Kelbaker Rd to small dirt road turn off on the left side. Use an existing fire ring !